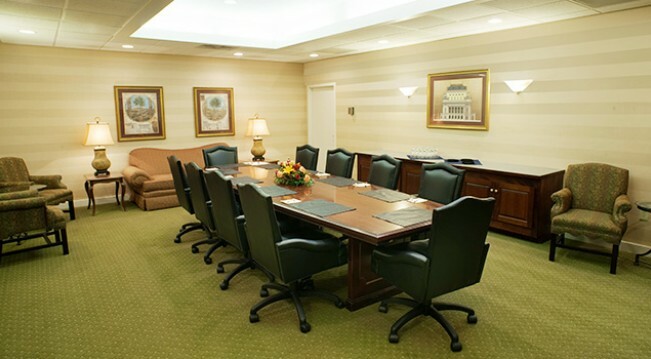 Whether you’re planning a business meeting for just a few colleagues or a large trade show or off-site training session for hundreds, three factors make the Fredericksburg Hospitality House Hotel and Conference Center your best choice: Facilities, Location, and Service. With more than 18,000 square feet of meeting and banquet space in a prime Fredericksburg location, we can accommodate up to 750 people in comfort and style. 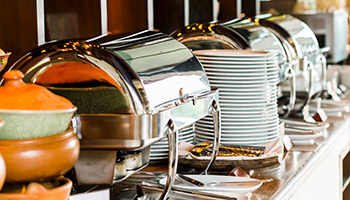 Our caterers are on-hand to create and serve thousands of meals a day. And your guests will enjoy ample parking as well. Our Presidential Ballroom can be divided into four smaller rooms, and additional small meeting areas include the Fredericksburg Ballroom, the elegant Executive Boardroom and the Palm Room Banquet space. 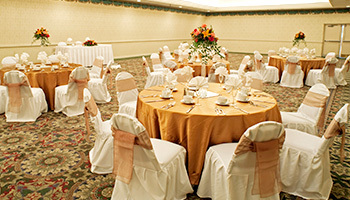 Our professional meeting planners are on-hand to provide guidance on which meeting spaces best suit your needs. The Fredericksburg Hospitality House Hotel and Conference Center is in Fredericksburg, Virginia, on I-95 midway between Richmond, Virginia, and Washington, D.C. We are near the University of Mary Washington, and only 20 minutes south of Marine Corps Base Quantico. We are also surrounded by outstanding historic sites, museums and seven golf courses. Guests can fly into Richmond International or Dulles International Airport. A commuter rail connects us with Washington, D.C., as well. Contact us to request more details on our catering menus. Please note that ++ is a 20% gratuity and 11.3% tax added to all prices.